Coney Island will gain a major attraction this weekend when the New York Aquarium opens a $158 million addition called Ocean Wonders: Sharks! 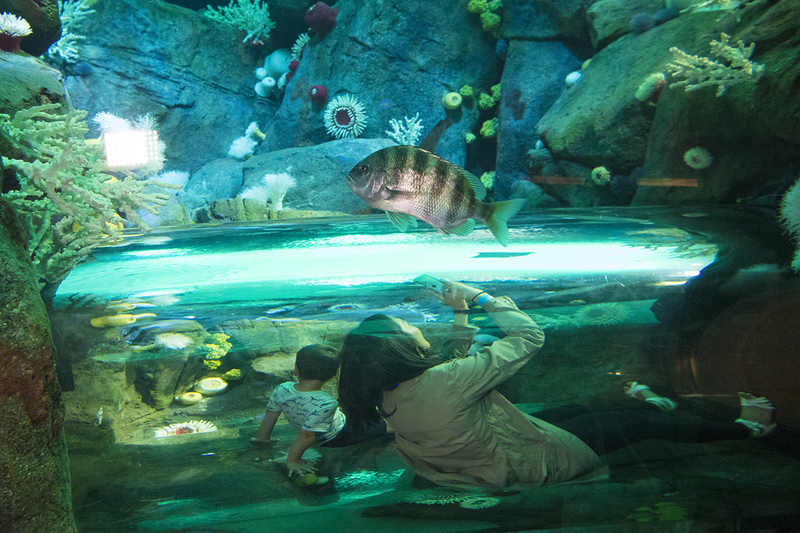 Civic leaders joined aquarium officials and donors on Thursday to cut the ribbon for the facility, which opens to the public on Saturday. 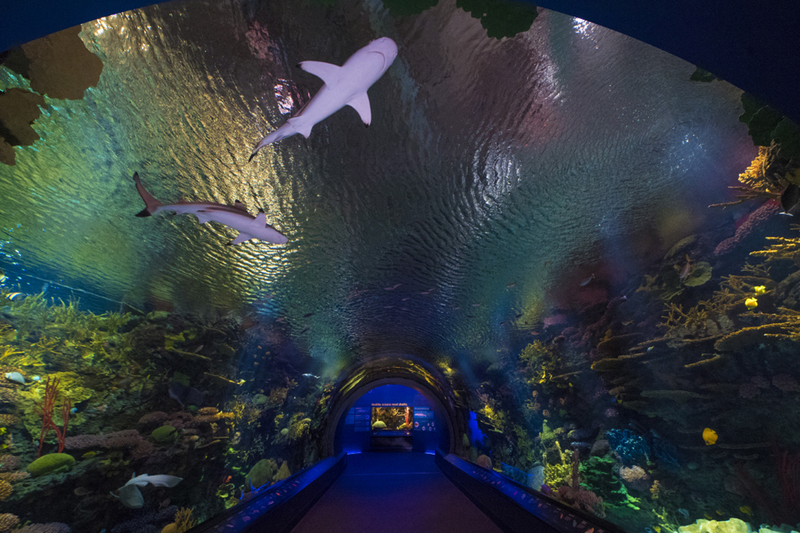 With more than 57,000 square feet of space, from an underwater tunnel that takes visitors beneath a coral reef exhibit to a rooftop observation deck, the three-level addition brings visitors “nose to nose” with 18 different species of sharks and rays, plus 115 other kinds of marine life. 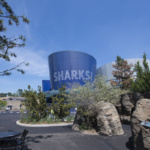 Having been in the works for the past 14 years, the facility represents a major addition to the New York Aquarium, which is run by the Wildlife Conservation Society and is considered the oldest continuously-operating aquatic museum in the United States. 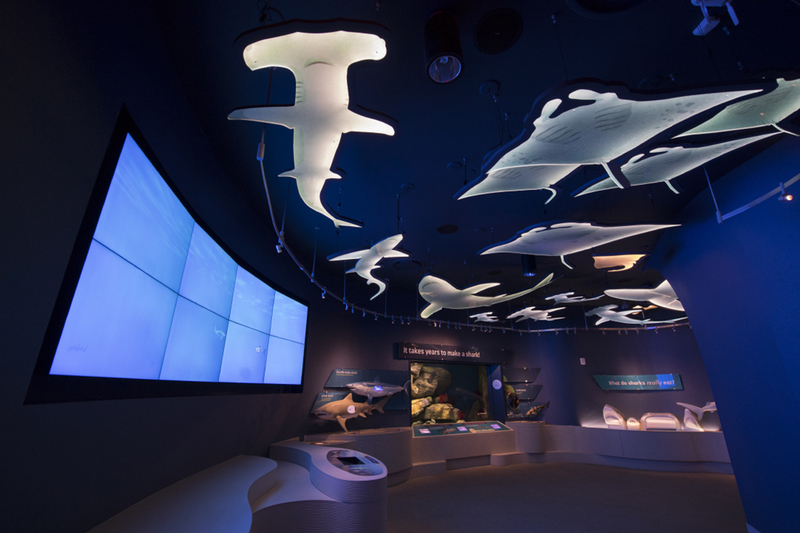 The design is the work of a consortium led by Susan Chin, Vice President of Planning and Design and Chief Architect for the Wildlife Conservation Society. Key design team members included Edelman Sultan Knox Wood Architects of New York, Doyle Partners of New York, and the Portico Group of Seattle. In 2013, the design received an Award for Design Excellence from the New York City Public Design Commission. 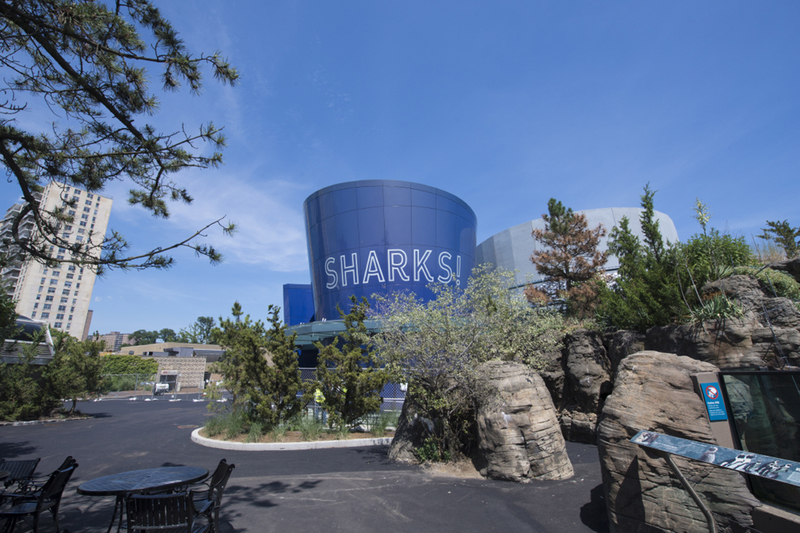 The goal, planners say, was to create a facility that educates visitors about the importance of sharks to the health of the world’s oceans, points out the threats they face, and inspires visitors to protect marine life in New York and beyond. 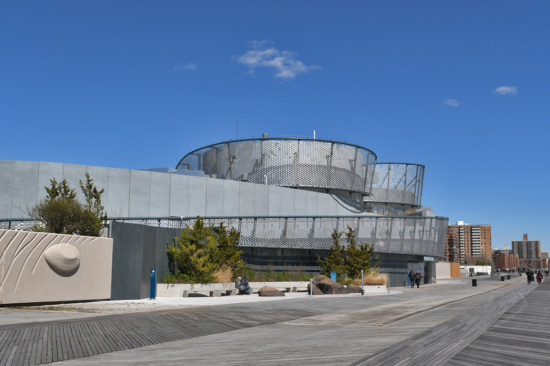 Completed as a joint venture of the Wildlife Conservation Society and New York City, which owns the land and provided most of the construction funds, the addition also represents a major achievement by the Aquarium and the Coney Island community in rebuilding from the damage caused by Hurricane Sandy in 2012. The curving structure cantilevers over the Coney Island boardwalk, which was recently designated a New York City landmark. 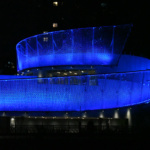 Its exterior includes an 1,100-foot-long “Shimmer Wall” that was designed in collaboration with visual artist Ned Kahn to convey the force and fluidity of the ocean. 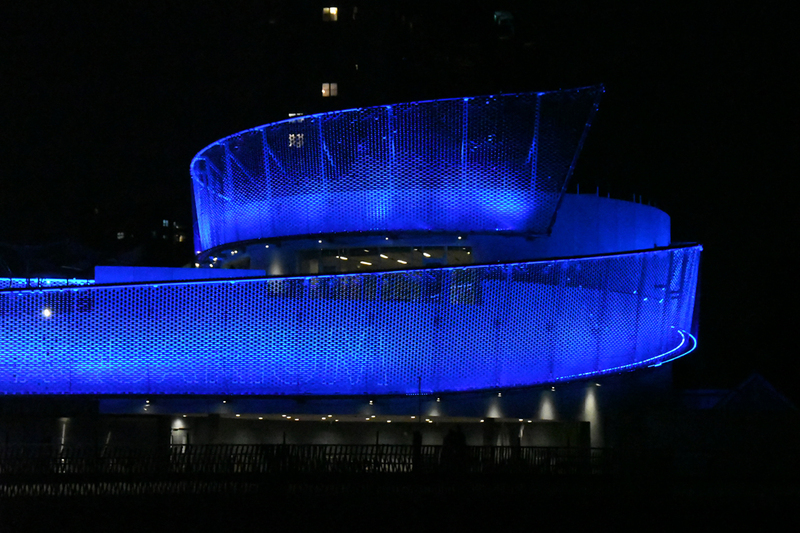 This kinetic facade consists of more than 33,000 aluminum “flappers” that undulate with the wind. Inside are nine galleries that Chin says were inspired by nature. 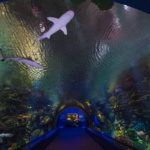 They include the “Coral Reef Tunnel,” an immersive underwater tunnel that enables visitors to view sharks swimming overhead; “Sharks Up Close,” an interactive gallery showcasing the physiology and behavior of sharks and rays; “Sharks in Peril,” a gallery that shows why sharks are vulnerable to overfishing and other threats, and “Discover New York Waters,” a gallery that highlights the marine ecosystems off New York’s coast. Other areas include “New York Seascape,“ which shows how scientists are working to save sharks; “Shipwreck,” which explores the more than 60 wrecks found along the New York coastline and how they serve as gathering spots for sharks; “Canyon’s Edge,” a look at the ecosystem of the Hudson Canyon, which begins at the mouth of the Hudson River and is comparable in size to the Grand Canyon; “Conservation Choices,” showing how visitors can become conservationists; and “Ecology Walk,” a look at the ecology of Coney Island and nearby areas such as Jamaica Bay and Sandy Hook. 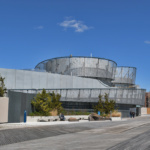 On the top level are the Ocean Overlook and the Oceanview Learning Laboratory, a 1,500 square-foot educational space featuring an outdoor terrace with a rooftop touch tank and other teaching facilities. The New York Aquarium opened in 1896 in Castle Garden, part of the Battery Park section of Manhattan. Since 1957, it has been located on the Coney Island boardwalk in Brooklyn. 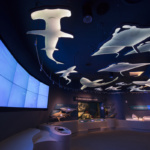 Of the total $158 million cost of the Ocean Wonders exhibit and its companion Animal Care Facility, $111 million came from New York City and $47 million came from private groups, individuals, and tax-exempt financing. The addition is expected to generate $20 million a year in economic activity. 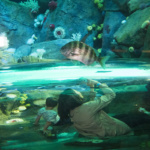 New York officials noted yesterday that the aquarium addition is one of many ways that New York had been working to revitalize Coney Island, even before Hurricane Sandy. “We’ve been making big investments across Coney Island in everything from affordable housing to new amusements to infrastructure upgrades,” said James Patchett, President and CEO of the New York City Economic Development Corp.